Messy Yet Dressy! 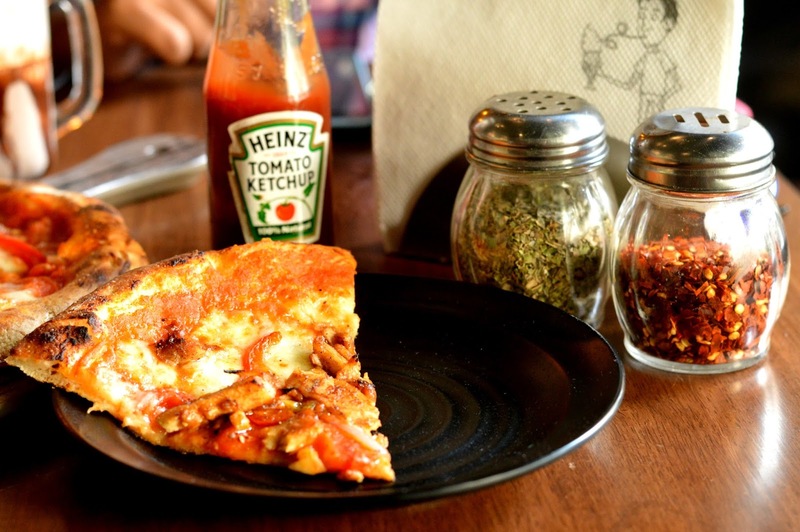 : Pizza on my Mind! 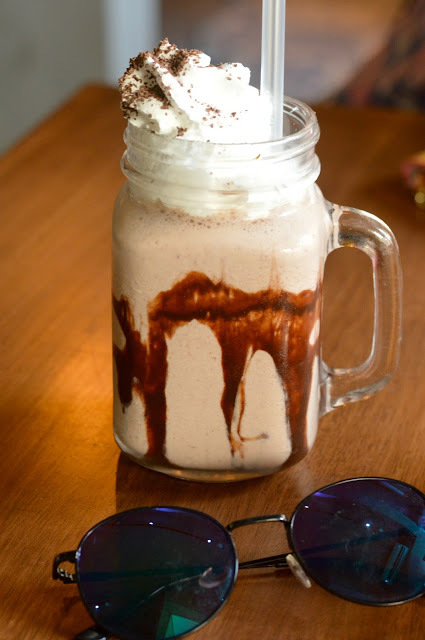 When was the last time you splurged on some food not because you were hungry but because it was so yum that you couldn't get enough of it? That's exactly what happened to us when we went to Brik Oven a few days back. 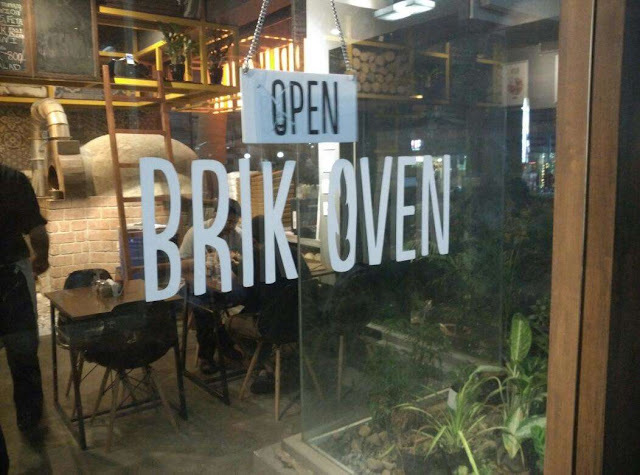 Brik Oven is located on Church Street, one of the most happening streets in Bangalore. It is a tiny place and won't fit more than twenty customers at a time but the feel and ambience of the place is so homely and cozy. 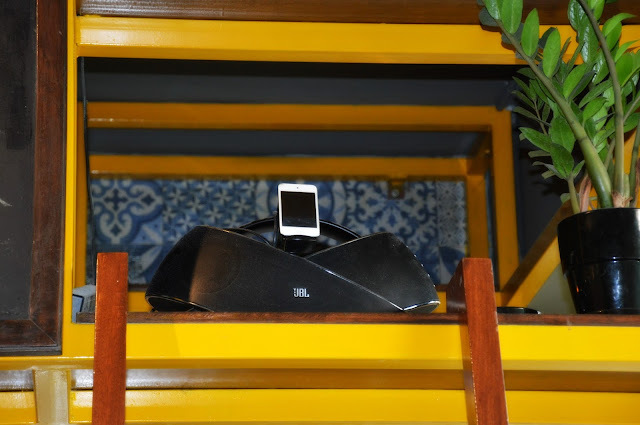 The little details like the logs of wood used to decorate the place and music being played from an iPod through speakers was too hard not to notice. 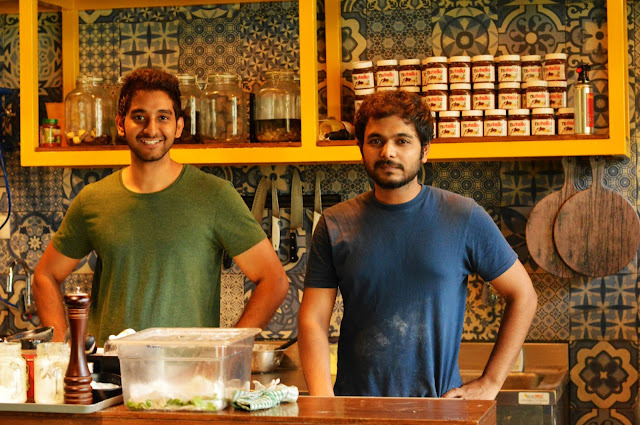 We met the owners/chefs of the place, Anvesh and Anirudh, two young people who started this venture and I'm sure it will take them places. 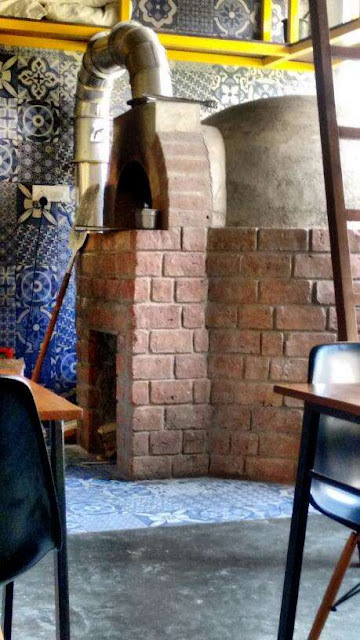 We love how they have designed the place! Coming to the food, we ordered three of the main dishes from their menu: The milkshake, pizza and waffles. I love how they have quirky names for almost every dish on their menu. 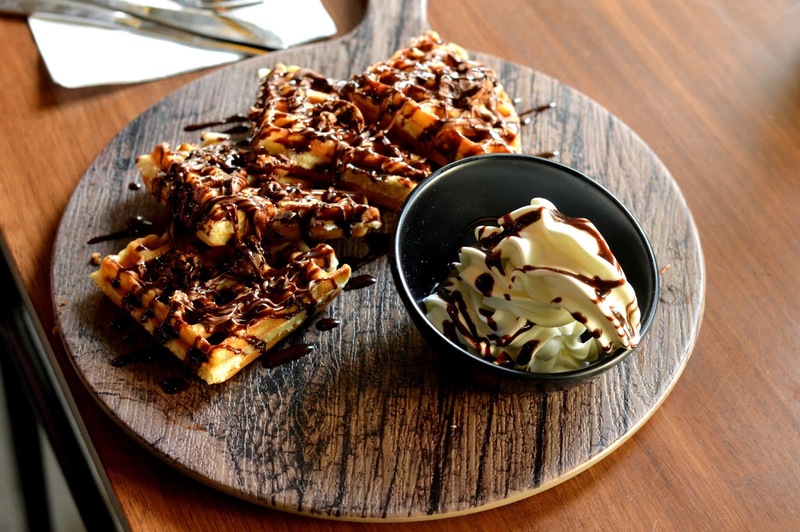 Also, I love the fact that they use nutella in a lot of their dishes! 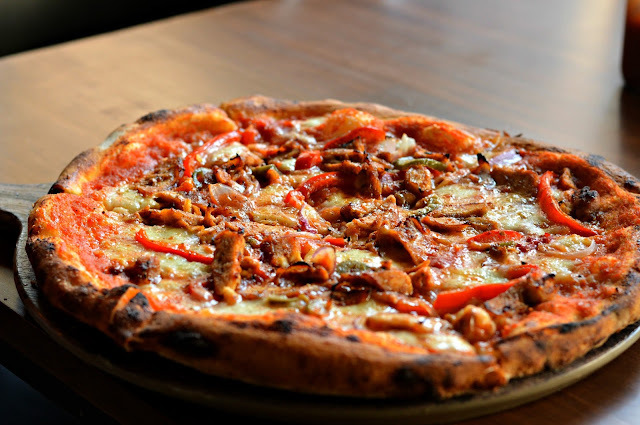 Barbecue Chicken Pizza: This was new on their menu and the chef suggested we try this one and trust me, I've not had a better barbecue chicken pizza before. There was just something different about this one. Definitely worth every penny! The pricing of all dishes is very reasonable and worth every penny you spend because you will be so satisfied by the end of your meal, you'll have zero regrets. Good quantity and value for money is what this place offers. And I must mention that this is the first time in a very long time that Aditi and I actually finished everything we ordered, so you can imagine how good the food must have been! This place is definitely worth a visit and I'm pretty damn sure it won't leave you disappointed.